Unbounce allows you to create landing pages for your products without any knowledge of software development. You can also create forms that your customers can fill out, and those form submissions can be sent to your CallTrackingMetrics call log automatically with this easy integration. CallTrackingMetrics FormReactor seamlessly integrates with all Unbounce forms, making it incredibly easy to manage all inbound leads from within one system. All form completions can be integrated into your call tracking reporting so that you can see not only how many calls each of your advertising channels are generating- but also how many forms visitors are completing on your site. Your form must include a phone number field in order for the integration to work correctly. Select the landing page you’d like to enable the FormReactor. 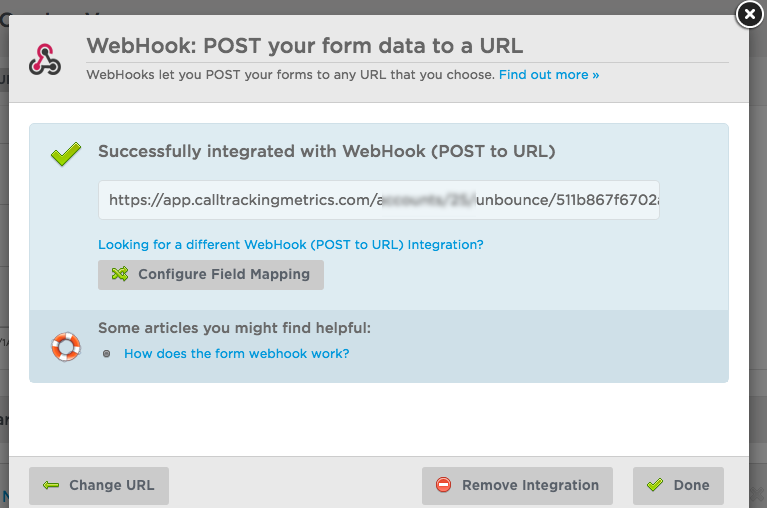 Paste the code from the unbounce form reactor integration page. Select done. The form is live. Fill out a test form and view the entry in the call log. 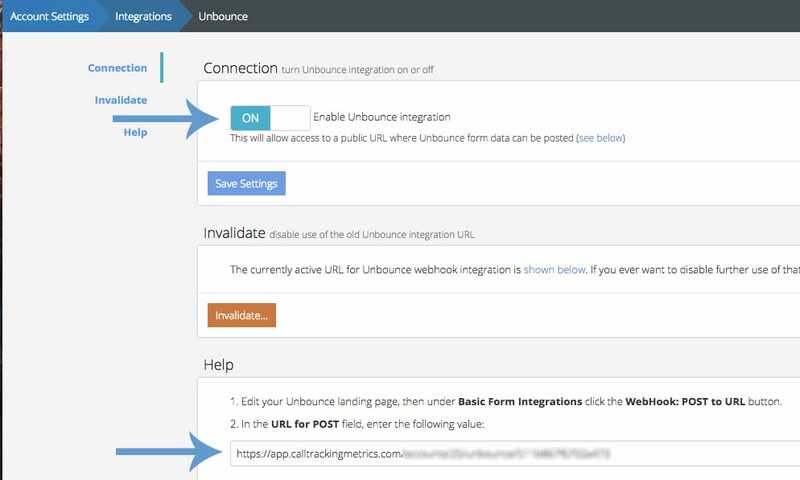 By default the form will be set to log calls only and the source of the form will be the Unbounce landing pages name. When a new FormReactor has been detected you’ll receive a notification.